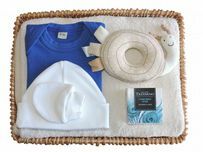 A great collection of value gifts for a new baby boy. 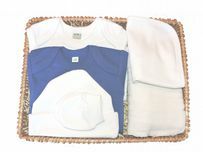 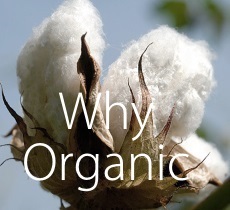 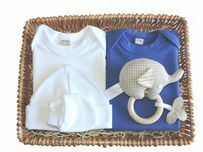 Mulberry Organics budget baby gifts under £75.00 are to our usual high standards and contain many luxury organic gifts to delight a new mum just as our many customers have come to expect. 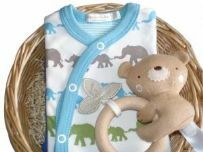 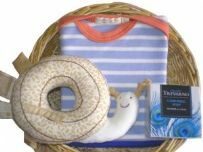 The baby boy gift baskets have been brought together in one place to enable an easy straight forward shopping experience and priced up to £75.00. 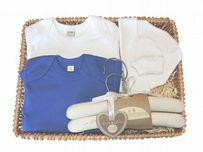 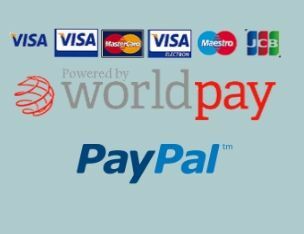 All our baskets are professionally wrapped in luxury tissue paper boxed and delivered free using the Royal to any location within the United Kingdom so there is no need to worry about additional postage costs.